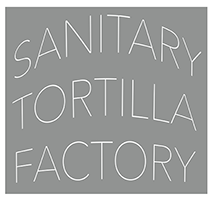 The Sanitary Tortilla Factory is located in a bustling section of downtown Albuquerque, NM. We share a block with great neighbors Zendo Coffee & Art and Sidetrack Brewery, so great coffee, beer and conversation are never far away. We are also lucky to have a new grocery store just a block away and the rest of the amenities in Albuquerque’s quickly transforming downtown is just a short walk away.